In 1962, at the age of 53, playwright Eugène Ionesco thought he may be dying. 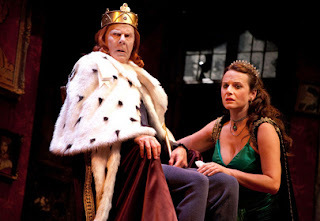 In an attempt to come to terms with these feelings of mortality, he crafted the play Exit the King. The play centres around King Berenger the First, who, at 400, is dying, but he just doesn't know it yet. His retinue is divided into two groups. The first, his Doctor and Queen Marguerite (his first wife), are the rationalists. In a calm, logical manner they are determined to let him know that, “you are going to die in one and a half hours. You are going to die at the end of the play.” In the other camp, are his kind Nurse and his second (trophy) wife, Queen Marie. She is determined to not tell him. Queen Marie is his favoured wife (he sees Marguerite, and all he can say with a sneer is, “oh, you're still here.”) and has over the years coddled him and told him whatever he wanted to hear. It is not just the King who is dying, so is his kingdom. In his vigorous youth, he lorded over millions of people, successfully battled thousands of enemies, did everything from single-handedly splitting the atom to inventing the car and computer, and he could even control the weather. It would not rain unless he said so. Now, as he is dying, his kingdom is literally vanishing. The people are all gone, his achievements are forgotten, and the land itself is shrinking and shrinking. His castle is a slanted ruin and a gigantic crack is splitting it in half. The irony here? Ionesco was far from dying. He recovered and lived until 1994. 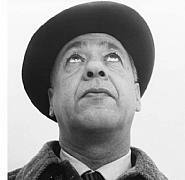 Ionesco, along with Samuel Beckett (Waiting for Godot, Not I), was considered one of the prime voices in the Theatre of the Absurd movement. Supposedly it is a phrase he hated because he thought of himself as a realist. As I watched Soulpepper Theatre Company's superb production in Toronto of Exit the King, these thoughts of Ionesco being a realist frequently came to mind. Certainly, the plot is situationally absurd (A vanishing kingdom? Controlling the weather? A castle who's walls are 20-degrees off true? 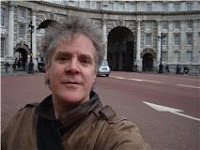 ), and yet what is most effecting in Ionesco's play is the notion of how our world vanishes as we begin to die. With the passing of my father in the past year, this held deep resonances for me. Over his last three or four years, I witnessed my Dad go from the reasonably active fellow who loved nothing better than hopping into his car to go off and do errands to, in his last months, being confined to a wheelchair in the support wing of the retirement home where he lived. It was as if his world, too, was vanishing. Everything that made him who he was had been constricted and then fallen away so that, at the end, there was only him. And then there wasn't even that. In the Soulpepper production, Oliver Dennis plays Berenger as a combination of spoiled, indulged child and tyrant. It is a spectacular performance. 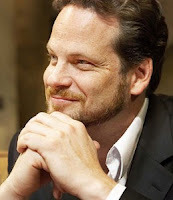 A friend told me that Dennis had mentioned to him that the rehearsal period for the play was seven weeks. I can see why. This play is not only text heavy, but it is also very precise in its use of body movement. Wracked with pain and filled with growing terror, Dennis plays Berenger as a man who, over the course of the play, practically disintegrates before our eyes. And yet this play is also extremely funny. A brief example: “We don't have time to take our time.” Another one, which shows that Ionesco wasn't afraid of the bad pun, comes when the Berenger is talking extensively to the Nurse (it's a dodge, so he can ignore Marguerite's insistence that he is dying). He asks her if she has a cold; she says she does, to which he says, “I do, too, but mine's royal, yours would be a more common cold.” It's a groaner, yes, but an effective one. The rest of the cast – Brenda Robins as Queen Marguerite, William Webster as the Doctor, Karen Rae as Queen Marie, Trish Lindström as the Nurse, and Derek Boyes as the Guard – are all very fine. Rae has the weakest role, but she doesn't give a bad performance. The way Ionesco wrote it leaves it rather one-dimensional. Robins as Marguerite is Dennis's equal in this show. After Berenger, she has the longest journey because she is the one, finally, who helps him cross over in a long, moving finale during which the set itself vanishes. Which brings me to the technical side of this production. The almost Dr. Seussian world that Ionesco creates in the play would not work if the technical side wasn't up to the task. Director Albert Schultz's staging and crafting of performance is strong. 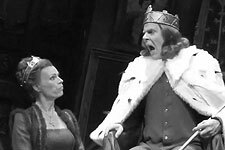 With great skill, he moves us through the play's first moments of (slanted) door-slamming farce towards the sublime final seconds of the king's passing. He is helped immeasurably by the lighting design of Lorenzo Savoini. Savoini works magic with the lights, whether it's a slightly jaundiced yellow spot for the King as he rages at the dying of the light; or at other moments, the way he subtly focuses our attention on two conversing characters even though the stage is filled with the whole cast. Steven Hawkins' striking set (all odd, untrue angles and that huge crack) adds layers to the meaning of the work. If there is one criticism I have with this production, it lands firmly at Ionesco's feet. He is, in some ways, like the King. He doesn't want to kill the King because that gives death a victory I don't think Ionesco wanted it to have. So, he repeats ideas, arguments and confrontations endlessly. At more than one point I thought, 'okay, Eugène, move on, I got it.' The play was 'rediscovered' by Australian actor Geoffrey Rush in 2009. He and Neil Armfield created a new translation and opened it on Broadway for a limited run (it is this translation on stage at Soulpepper). Rush won the Tony for his work. Should this play be added to more repertories? Perhaps, but maybe the only thing those who mount this two hour show (plus intermission) should consider is something most theatres do with Shakespeare: cut the text. Removing some of the repetition won't hurt it and will turn a very fine night at the theatre – like Soulpepper's production – into one that might be truly sublime.